Types Content Material: PVC/PET/PETG Size: CR80,85.5*54mm or Customized Chip: Thickness: 0.3mm/0.5mm/0.76mm/0.84mm or Customized Printing: CMYK Offset ptinting,Sili-screen printing,Digital ptinting Color: CMYK ,Pantone color Surface craft: Matte,Glossy,Frosted,Transparent Optional craft: Matnetic stripe,Signature panel,Thermal printing,Embossing number,Barcode,Scratch-off panle,UV Ink,Hot stamp,etc Magnetic Stripes: 1.Low coercivity(LoC0)and High coercivity(HiCo) 2.Magnetic Size:6.5mm/8.4mm/12.5mm Applications: Membership System,Access Control System, Hotel,School,Traffic,Suppermarket,Parking,Advertising ,etc. We offer a wide variety of styles and printing options to meet all your needs. Folded Business Cards Nothing makes a better first impression than a folded business card. Choose this beautiful finish for a high quality memorable business card to really get your business noticed. Yiwu Yika Smart Card Technology Co., Ltd. Competitive price: Manufacturer, factory direct sale, low price, good quality = Best Choice. How can we get a quote9 A: Please offer us specification of products, such as material, size, quality, shape etc. We are absorbed in researching, developing and producing different kinds of card and tags, we have good quality and competitive price. Besides, Nexqo provides programming and encoding services which exactly fit customer&rsquo;s programming or encoding requirements. With doing this, customers could put some corresponding information into the cards to make sure they are running on the right system and belong to the right person. 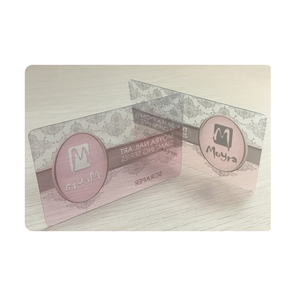 PVC Cards are more and more widely used in many applications, such as promoting, marketing, loyalty, hospitality, etc. 1: Q: Are you factory or trading company 9 A: We are factory which have set up since 2008, and provide you direct prices. 2: Q: Could you help me do badge artwork9 Is it free 9 A: Yes, we have many professional designers, and free artwork. 6: Q: How long do the production time 9 A: The prodution time is within 5 work days after confirm the payment and artwork. 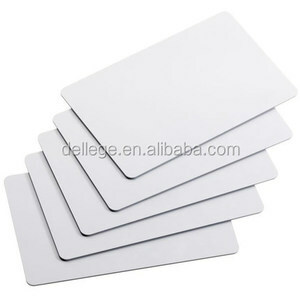 Alibaba.com offers 128,024 pvc plastic cards products. About 29% of these are plastic cards, 10% are access control card, and 1% are mobile phone sim cards. 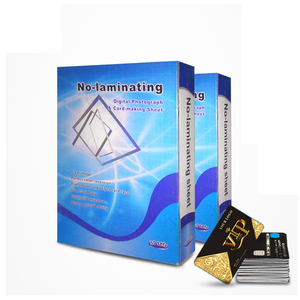 A wide variety of pvc plastic cards options are available to you, such as free samples, paid samples. 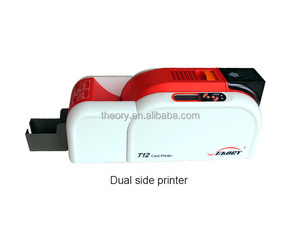 There are 127,560 pvc plastic cards suppliers, mainly located in Asia. The top supplying countries are China (Mainland), Hong Kong, and Taiwan, which supply 98%, 1%, and 1% of pvc plastic cards respectively. 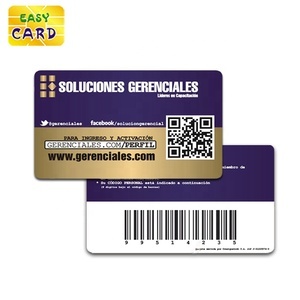 Pvc plastic cards products are most popular in North America, Western Europe, and South America. You can ensure product safety by selecting from certified suppliers, including 39,318 with ISO9001, 21,966 with Other, and 4,767 with BSCI certification.